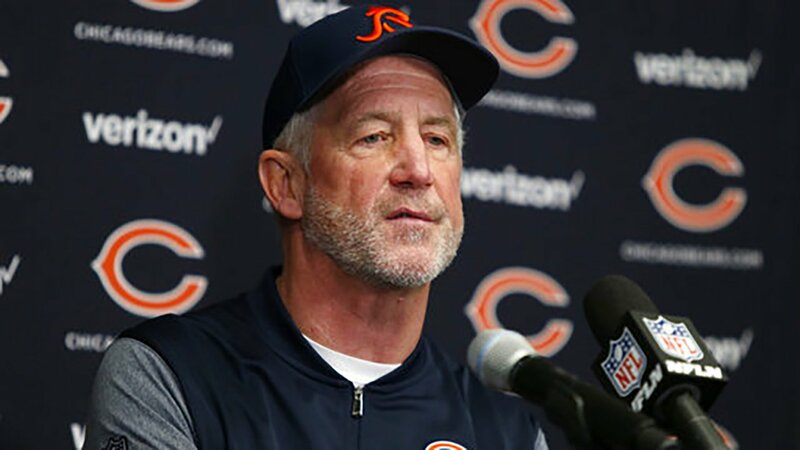 CHICAGO (WLS) -- The Chicago Bears have parted ways with head coach John Fox after three seasons, the team announced Monday. 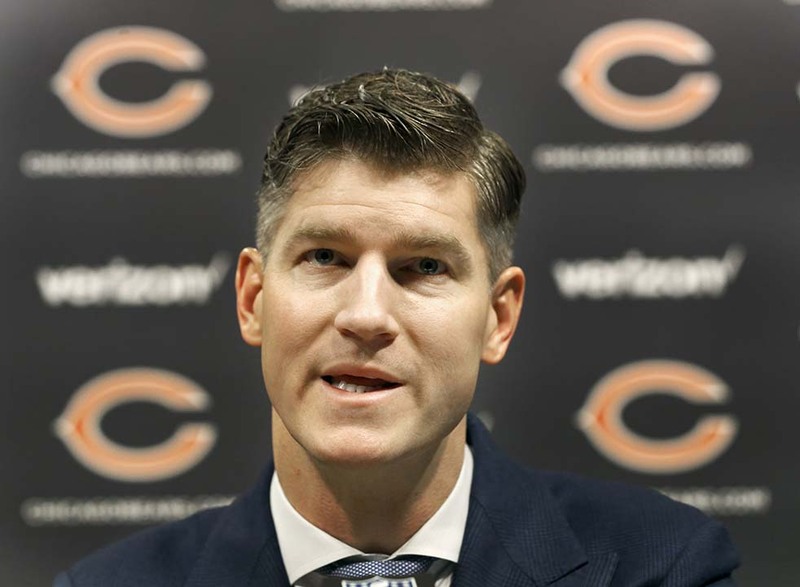 Additionally, Bears President Ted Phillips announced at a press conference on Monday afternoon that they have extended General Manager Ryan Pace's contract through the 2021 season. Chicago Bears general manager Ryan Pace talks to reporters during an end of season NFL football news conference on Jan. 4, 2017 in Lake Forest. On Twitter, the Bears said that Pace had informed Fox that he has been let go. In a statement, Fox said, "Thank you to all the players, coaches, the city of Chicago and Bears fans everywhere, your passion for the game and this team is unmatched in the NFL. Today is the tough part of our results-oriented business but I wish the Bears organization the best for years to come." Fox recorded a .292 winning percentage that ranks as the second lowest for the Bears. Only Abe Gibron was worse - 11-30-1 (.274) from 1972-74. Chicago has four consecutive losing seasons - each with 10 or more losses. The Bears haven't finished above .500 since they let Lovie Smith go following a 10-6 finish in 2012 and haven't been to the playoffs since 2010. But the decision to fire Fox does not come as a big surprise to most people following the team's lackluster season. Bears fans chimed in with their reactions to the firing Monday and who they want to replace him. Many Chicago Bears fans rejoiced on Monday after news of the firing of head coach John Fox. On New Year's Eve, we counted down to midnight. This past football season Bears fans counted down to the day Fox was fired. "A lot of people thought it would have happened a couple weeks ago," said ESPN 1000 talk show host Fred Huebner. "He was the second worst coach in Bears history." Fred Huebner with ESPN 1000 has been listening to fans and their Fox woes for an entire season. But Monday, Bears fans finally had something to rejoice about. "They're all saying, thank goodness it's over with, the John Fox era did not work," said Huebner. Fox is out after the team's third straight last-place finish in the NFC North. "I'm not surprised, I'm not surprised unfortunately," said Bears fan Tyler Hansen. In fact, many Bears fans had been waiting for this all season long. "Not shocked, I mean you kind of knew at the beginning of the season," said Bears fan Marvin Giles. "I was ready to give him another year, I know the City of Chicago probably doesn't like that, put Trubisky in as a rookie, give him another year, but it needed to happen," said Hansen. Tyler Hansen was one of the few Bears fans that was willing to give Fox another chance, but when news of the firing came down, he said he was ready for it. "I'm ready for a change and I am ready to get some more victories," said Hansen. Now that Fox is gone fans said a fresh start could help change the tide for the team that many fans struggled to love. "Would love another playoff, just to make it. Gotta take steps make the playoffs, win the NFC North, make it to a Super Bowl, win the Super Bowl. That's the plan," said Hansen. Fans are already making their own predictions on who will fill Fox's shoes. The fan favorite so far is University of Michigan Coach Jim Harbaugh.